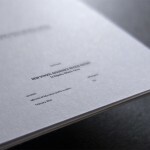 This is the main collection of downloadable and viewable resources primarily for the kura and also for the Trust where applicable. 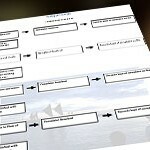 Individual general resources such as panui, permission slips, newsletters, multimedia and other resources will also be attached to the respective calendar items, articles and pages throughout the site. 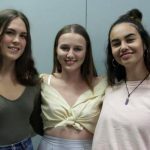 Academy Stories – In 2006, ASB Community Trust set out to find and fund innovative proposals to address the serious problem of educational underachievement among Māori and Pasifika youth. Through its Māori and Pasifika Education Initiative (MPEI), the Trust forged a rigorous and innovative grant making process that attracted over 300 expressions of interest from across the Auckland and Northland region. 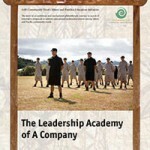 In 2009, He Puna Marama Trust became one of seven successful applicants to receive funding to implement its vision of a leadership academy for Māori boys. 2015 Whānau Handbook – This handbook describes the philosophical and cultural foundation and aspirations and of the kura as well as the strategic plan to achieve those goals. 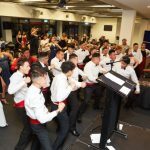 In addition, curriculum guides such as Personalised Learning Plans, NCEA Requirements and kura systems such as the attendance, uniform and Code of Behaviour policies are also explained. 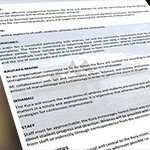 Whānau Engagement Policy – In order for a successful partnership with whānau, iwi and the community, involvement must be visible in Kura operations. The Kura is committed to supporting these needs and using a range of communication strategies to involve parties. These include panui, hui whakapiki (parent interviews), whānau /iwi/community hui, common informal methods such as “kanohi ki te kanohi” (face to face) conversations with staff through an open door policy and the use of social media and student management systems. 2017 Audited Accounts – The following information represents a summary of income and expenses that relate to Kura Hourua ki Whangarei and the Kura Teina. 2016 Annual Report – This year, 2016 has been another year of further growth, development and increasing success. We continued to grow our innovative Māori educational model and at the same time, increase our reach and relevance to our people and whānau. We are no longer the novel new kids on the block, ushered in under partisan opportunity and huge political criticism. There is a growing sense of confidence and substance in what we do and how we do it. This can only be put down to the focus on our kaupapa and three pou, Kia Māori, Kia Mātau, Kia Tū Rangatira Ai and the combined belief and efforts of our ākonga and staff. 2016 Audited Accounts – The following information represents a summary of income and expenses that relate to Kura Hourua ki Whangarei and the Kura Teina. 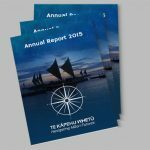 2015 Annual Report – 2015 has been a year focussed on continuing the development of Te Kāpehu Whetū across the three pou of Kia Māori, Kia Mātau and Kia Tū Rangatira ai. Year two has seen an increase in ākonga, pouako and facilities all aimed at continuing to move towards an education environment that will produce competent, capable and confident Ngā Puhi graduates. 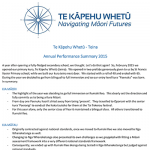 2015 Te Kura Hourua O Whangarei Summary – 2015 was another successful year from our perspective. We easily increased our roll from 50 to 72, graduated 5 year 13 students, all with University Entrance, and were involved at a local, national and international level in a number of areas. We also continued to grow our teaching capabilities, to ensure we offer a full programme of study in all core academic areas. Our offering under the three pou, Kia Māori, Kia Mātau, Kia Tū Rangatira Ai, is increasingly consolidating and aligning. 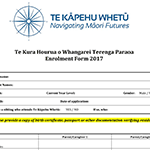 2015 Te Kāpehu Whetu summary (Paenuku) Summary – A year after opening a fully-fledged secondary school, we thought. Let’s do that again! So, February 2015 we opened our primary kura, Te Kāpehu Whetū (teina). We opened in two prefabs generously given to us by St Francis Xavier Primary school, while we built our kura teina next door. We started with a roll of 40 and ended with 65. During the year we decided to go from bilingual to full immersion and so our entry level kura “Paenuku” was born. 2015 Audited Accounts – The following information represents a summary of income and expenses that relate to Kura Hourua ki Whangarei and the Kura Teina. This is the first year of operations for the Kura Teina. 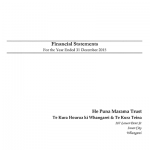 2014 Audited Accounts – a summary of the 2014 income and expenses of Te Kura Hourua ki Whangarei. This is the first year of operations for the Kura. 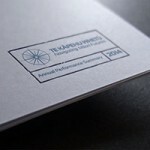 2014 Annual Performance Summary – We have had a very successful year and are happy with our overall performance for the first year of operation. We have laid a solid platform from which to continue to develop and strengthen our Kura in the coming years. 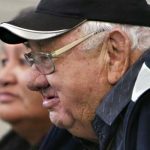 ERO Readiness Report, June 2014 – the Ministry of Education commissioned the Education Review Office (ERO) to help determine the readiness of Te Kura Hourua O Whangarei Terenga Paraoa to operate effectively as a school in 2014. ERO Assurance Review, February 2015 – this review is to provide assurance to the community that the school is well placed to provide for students and is operating in accordance with the vision articulated by the sponsor. ERO New School (Teina) Assurance Review, February 2016 – this review is to provide assurance to the community that the school is well placed to provide for students and is operating in accordance with the vision articulated by the sponsor.